You can often pick up a bargain in a pound shop if you avoid the cheap tat that will fall apart before you get it home. 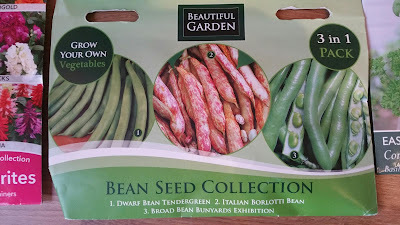 A bean seed sollection incluving Dwarf Bean Tendergreen, Italian Borlotti Bean and Broad Bean Bunyards Exhibition. We grew runner beans last year with great success so looking forward to rying out a few different varieties of beans this year. A Chestnut Button Mushroom Growing Kit! 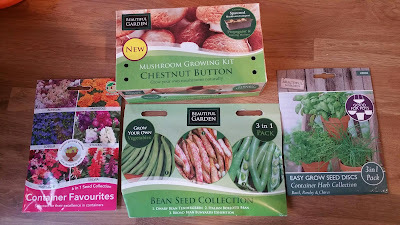 I've always wanted to grow mushrooms but never gotten around to it so when I saw this kit for £1 I was very surprised since they usually tend to be around the £10 price mark. 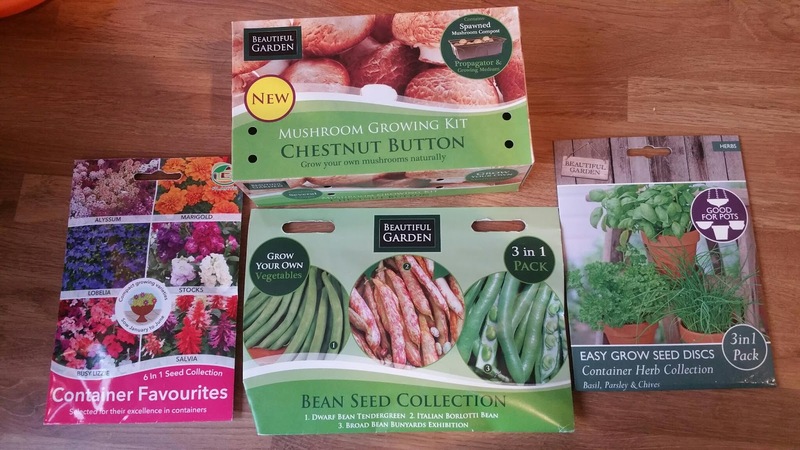 In a few weeks time we should be showing off some home grown mushrooms with a little luck! 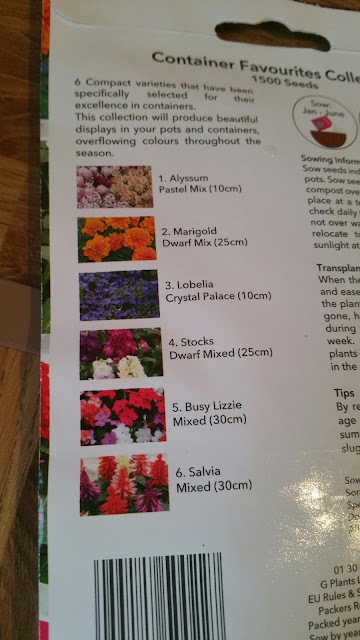 So there you have it, well worth a look in a local pound shop this time of year, I think we did pretty well for the princely sum of £4! Hope you had an excellent weekend and wishing you a wonderful week ahead on this frosty Monday morning! 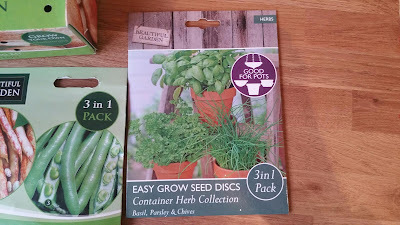 I must get the Mushroom kit, Poundland does have a lot of crap but you do find some good things as well, I always have a look in the growing section. 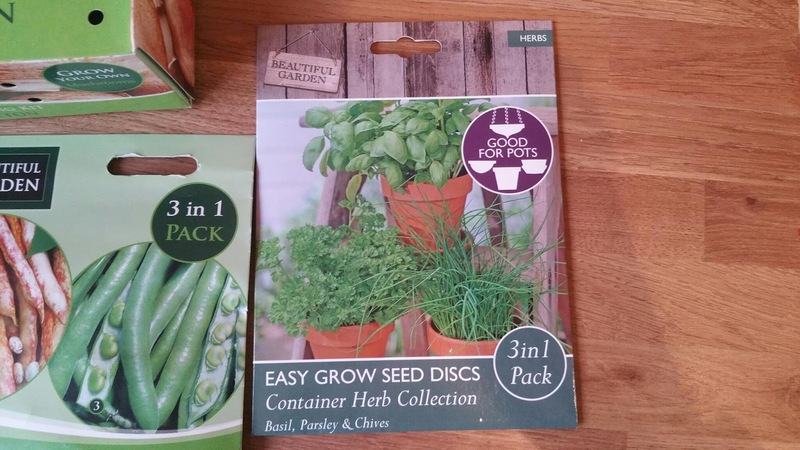 I got two flower seed disc a couple of years ago and they grew well. Hello. It's great to discover your blog from not too far away! 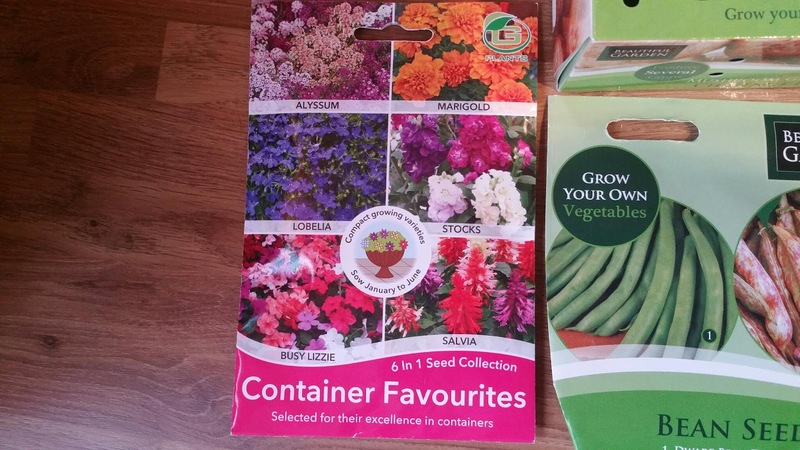 I'm pleased you picked up a bargain with your seeds. 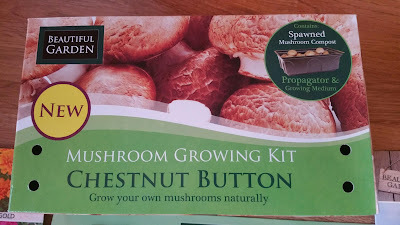 Hope the mushrooms go well, we grow our own here and it's good fun harvesting them.